As conflicting reports about the EU27's willingness to compromise keep hitting the tape (Ireland's prime minister has said there's no room to negotiate or add any limits to the Irish backstop, but elsewhere officials appear to be open to the idea of some more concessions), Continental leaders are reportedly stepping up their planning for Brexit to be delayed. After reports from earlier this week suggested that EU leaders were planning for Brexit to be delayed until the second quarter, another round of speculation has emerged claiming that leaders are preparing for Brexit to be delayed for months - or possibly even years - as the prospect that Article 50 will be delayed is looking increasingly certain. According to Bloomberg, the EU would be willing to delay Brexit well into the second half of next year (though an ECJ court ruling recently decided that the UK has unilateral authority to call for a delay) as MPs and EU negotiators try to suss out an agreement on a deal that would prevent a "catastrophic" hard Brexit. The EU is likely to approve any U.K. request to extend the Article 50 negotiation period beyond March 29 and the extension could go well beyond the first sitting of a newly elected European Parliament at the start of July, three diplomats said. To be sure, the EU27 isn't in complete agreement. Some still believe it would ultimately be best to insist that the UK leave the EU on March 29, the originally scheduled day. However, there isn’t complete agreement among EU member states, with some thinking the best strategy is still to insist that the U.K. leaves on the original date, or with only an extension of a few weeks to enable the British Parliament to pass necessary legislation, a fourth diplomat said. Theresa May has reportedly been considering coming out in favor of a delay, but her government's official position remains that the Brexit process should move forward. 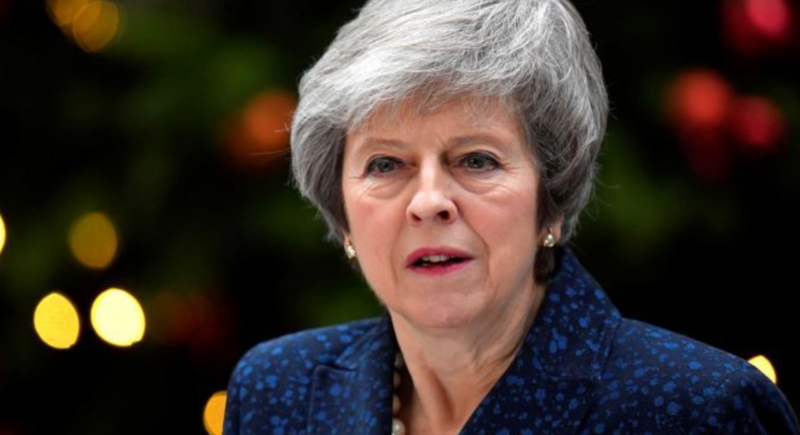 However, if she loses a no-confidence vote on Wednesday, all bets are off, and Labour MPs have reportedly been moving toward calling for a second referendum. Though it's worth noting that several Labour MPs have come out in opposition to the motion, tabled yesterday by Labour Leader Jeremy Corbyn, decreasing the likelihood that May will be ousted.